The profiles that follow illustrate how individuals across a wide range of fields advance Islamist ideas. They were chosen for their prominence and the damage they have inflicted. This is by no means a complete list and will be updated and expanded in the future. Americans have lived with the threat of attack by jihadi groups for nearly four decades. Despite this clear and present danger, some non-Muslim commentators, politicians, and other public figures challenge the idea that Islamism, a radical political ideology with ambitions of global conquest, has anything to do with this violence. We call such persons useful infidels (a variation on "useful idiots," a term widely attributed to Lenin). Useful infidels employ various methods. Some seek to redefine the threat by arguing that ISIS killers should not be described as Muslim terrorists out of fear that doing so would provide "the type of Islamic legitimacy that they are so desperately seeking, but which they don't deserve at all." Others seek to distract from the Islamist threat by claiming there is a deluge of anti-Muslim hate crimes or non-Muslim threats of violence where few exist. Some cooperate with Islamist groups, such as the Council on American-Islamic Relations (CAIR). Others focus on depriving law enforcement of the necessary training and resources to recognize and counter Islamist threats. Or they legitimize Islamists as the only representative and acceptable face of American Islam, to the detriment of moderate Muslims, who are ignored and powerless. Many useful infidels defame those who speak up about the threat of Islamism, both Muslim and non-Muslim, often accusing them of bigotry and claiming their critique, and not Islamism itself, is the cause of jihad, extremism, and violence. Some go so far as to compile blacklists of those accused of this alleged thought crime. This demonization has painful consequences by confusing Americans and making them fearful to speak up. Those fighting the threat of Islamism, Muslim and non-Muslim alike, need to express themselves freely, without fear of their reputations or livelihoods destroyed because they stand up to a totalitarian ideology. 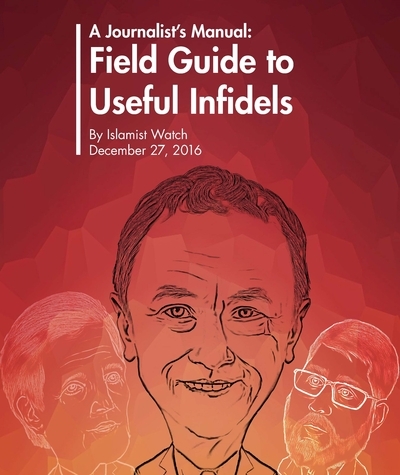 The media having an especially important role to unmask useful infidels, this handbook helps journalists in particular to recognize how useful infidels operate to shape public discourse on Islamism and to mainstream specious views. Non-journalists will also find it helpful to understand the hitherto-obscure function of useful infidels. We hope that journalists and scholars alike will build on this first analytic building block. Ben Affleck has risen to become one of his generation's most celebrated movie stars and filmmakers since co-writing the Oscar-winning screenplay for the 1997 film Good Will Hunting. Affleck subsequently appeared in a series of blockbuster films, such as 1998's Armageddon, 2001's Pearl Harbor, and 2002's The Sum of All Fears, which made him an A-list celebrity. After a decline in his acting career, he rebounded as a director, notably for the Oscar-winning Argo (2012). Affleck has eagerly used his celebrity status to promote progressive views on issues ranging from gay marriage to the minimum wage and universal healthcare, while donating time and money to the Democratic Party and an assortment of philanthropic and progressive causes. 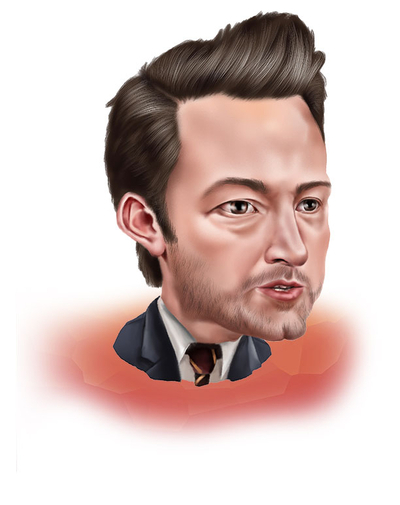 Affleck has gained the most attention accusing others of bias toward the Arab-Islamic world. During an October 2014 debate on HBO's Real Time with Bill Maher, Affleck famously called the anti-Islamist views expressed by Maher and fellow panelist Sam Harris "gross" and "racist ... like saying, 'you shifty Jew.'" The Council on American-Islamic Relations (CAIR), a prominent Islamist group named by federal prosecutors as an unindicted co-conspirator during the 2008 Holy Land Foundation terrorism financing trial, subsequently added Affleck to a list of individuals it deems worthy of thanks from Muslims. "[T]he Arab terrorist thing has been done a million times in the movies." — Applauding the decision by producers of his 2002 film The Sum of All Fears to replace the Palestinian Islamist villains of Tom Clancy's novel with neo-Nazis. Slate, May 28, 2002. "I think [the Middle East] is the most misunderstood part of the world by certain people in the United States. ... There is a perception in some circles that Islam is inherently more violent than Christianity, that this notion of jihad is inherent in Islam and leads Muslims to be more brutal than Christians. I think that is false." — Agence France Presse, December 24, 2003. Bill Maher: "You're trying to say ... that's all the problem is, these few bad apples. The idea that someone should be killed if they leave the Islamic religion is just a few bad apples?" Christiane Amanpour serves as CNN's chief international correspondent. Hired by CNN in 1983, she gained widespread notice for her coverage of the 1990-1991 Gulf War and the 1992-1995 war in Bosnia. 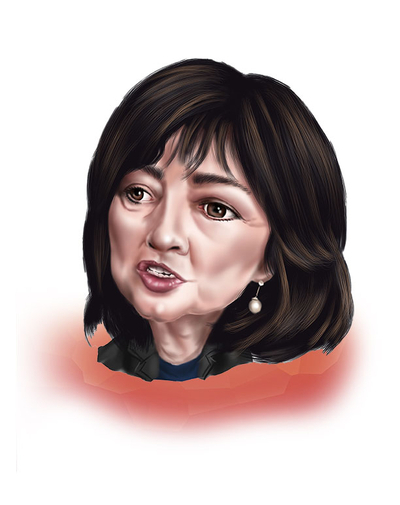 Criticized by the New York Times for her emotional reporting and anti-Serbian speculation during the siege of Sarajevo, Amanpour later insisted this did not compromise her objectivity. "I now say truthful, not neutral. There is a difference here. Truthful is bringing the truth. Neutral can be creating a false equivalence between this side and that." Amanpour sparked considerable controversy with her 2007 series CNN Presents: God's Warriors, which drew equivalency between Islamist terrorists and Israeli settlers. Even liberal MSNBC host Dan Abrams accused the veteran journalist of the "worst type of moral relativism" for failing to "distinguish between Islamic terrorists who utilize fierce violence to achieve warped goals, and the merely fiercely religious or even just those who fiercely believe in the state of Israel." "The impact of God's Jewish warriors goes far beyond these rocky hills. The Jewish settlements have inflamed much of the Muslim world." — CNN Presents: God's Warriors, CNN, August 21, 2007. "The top Republican candidates have decided to make a war on Muslims — you know, 1.5 billion members of another faith." — CNN, September 24, 2015. 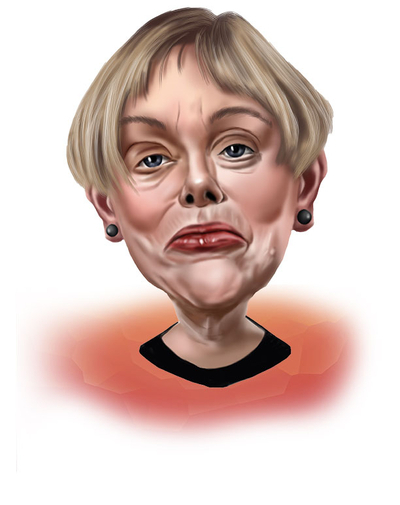 Karen Armstrong is a popular author and prominent commentator on religion. Born in 1944 in Great Britain, she became a nun at age 17 but left the convent seven years later as a nonbeliever with claims of physical and psychological abuse. She told her story in the autobiographical Through the Narrow Gate in 1981 and shifted toward a career in teaching, writing, and broadcasting. Two of Armstrong's books charted the path she would take in the coming decades as a public intellectual: 1991's Muhammad: A Biography of the Prophet, which won the Muslim Public Affairs Council Media Award, and 1993's A History of God: The 4,000-Year Quest of Judaism, Christianity and Islam. Armstrong believes that Islamist terror is motivated by "humiliation" caused by colonial abuse of the Muslim world and continued Western support for repressive Arab regimes and Israel. "Every fundamentalist movement that I've studied, in Judaism, Christianity and Islam, is rooted in a profound fear of annihilation." Armstrong spoke at the 2012 annual convention of the Islamic Society of North America (ISNA), an organization originally founded by Muslim Brotherhood activists and named as a co-conspirator in the 2008 Holy Land Foundation trial. "The West has to share a responsibility for what is happening in the Middle East. If it had not persecuted the Jews, there would not have been the need for the creation of the State of Israel. The Muslim world did nothing to the Jews, and the Palestinians are paying the price for the sins of Europe." — Interview with Al-Ahram, July 4-10, 2002. "[W]hen I saw the towers fall on September 11, one of the many, many thoughts that went through my head was, 'We helped to do this.' The way we split up these states, created these nation-states that ISIS is pulling asunder, showed absolutely no regard for the people concerned." — Interview with Salon, November 23, 2014. Salon: "When you hear, for example, Sam Harris and Bill Maher recently arguing that there's something inherently violent about Islam — Sam Harris said something like 'Islam is the motherlode of bad ideas' — when you hear something like that, how do you respond?" Armstrong: "It fills me with despair, because this is the sort of talk that led to the concentration camps in Europe. This is the kind of thing people were saying about Jews in the 1930s and '40s in Europe." — Interview with Salon, November 23, 2014. "My problem with some current critics of Islam is that their criticism is neither accurate, fair, nor well-informed. I am sure they do not intend this, but in the 1930s and '40s in Europe, we learned how dangerous and ultimately destructive this kind of discourse could be." — Interview with the New York Times, December 26, 2014. Max Blumenthal, the son of Clinton family confidante Sidney Blumenthal, is a controversial author, journalist, and partisan provocateur. During the administration of George W. Bush, Blumenthal found his home at the flagship publication of the left, the Nation, carving a niche for himself by critiquing and exposing various segments of the American right. These articles formed the basis of his first book, 2009's Republican Gomorrah: Inside the Movement that Shattered the Party. After the Obama administration took office, Blumenthal shifted his focus to Israel and became an outspoken supporter of the anti-Israel Boycott, Divest, and Sanction (BDS) movement. His 2013 book Goliath: Life and Loathing in Greater Israel drew condemnation even from left-wing critics of Israel. The Nation's Eric Alterman blasted the book, claiming it "could have been published by the Hamas Book-of-the-Month Club (if it existed)." The Simon Wiesenthal Center has listed Blumenthal as one of the country's most prominent anti-Semites. Tablet has described his work as "anti-Zionist polemic dripping with cartoon-like, racially weighted depictions of Israeli Jews. What distinguishes him from many other anti-Zionist writers is not his political views, but the obsessive nature of his work, which seems animated not by moral passion or analysis but by hate." Max's reputation has crossed oceans: in 2014, the leaders of Germany's main socialist party condemned the "well-known anti-Semitic journalist Max Blumenthal." Blumenthal sees so-called "Islamophobia" as a conspiracy by the pro-Israel lobby. In June 2015, Blumenthal appeared with and was photographed alongside Asim Qureshi, a supporter of the radical Islamist group Hizb ut-Tahrir. Qureshi has urged British Muslims to "support the jihad of our brothers and sisters [abroad] when they are facing the oppression of the West." Blumenthal has appeared as a speaker at numerous fundraising banquets for CAIR. "Little of recent American Islamophobia (with a strong emphasis on the 'phobia') is sheer happenstance. Years before ... the Jewish-American establishment launched a campaign against pro-Palestinian campus activism that would prove a seedbed for everything to come. That campaign quickly — and perhaps predictably — morphed into a series of crusades against mosques and Islamic schools which, in turn, attracted an assortment of shady but exceptionally energetic militants into the network's ranks." — TomsDispatch.com, December 19, 2010. 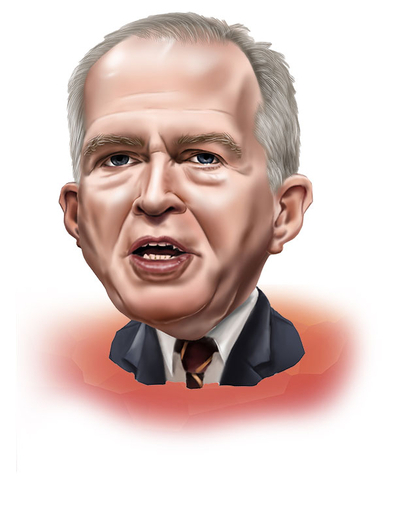 John Brennan has served as director of the Central Intelligence Agency (CIA) since 2013. He previously served for four years as President Obama's chief counterterrorism advisor. Brennan started at the CIA in 1980 and spent the decade first at a posting in Saudi Arabia and then at the Directorate of Intelligence's Office of Near Eastern and South Asian Analysis. He served briefly in the Clinton White House (1994) before returning to serve as CIA chief of station in Saudi Arabia (1996-1999). 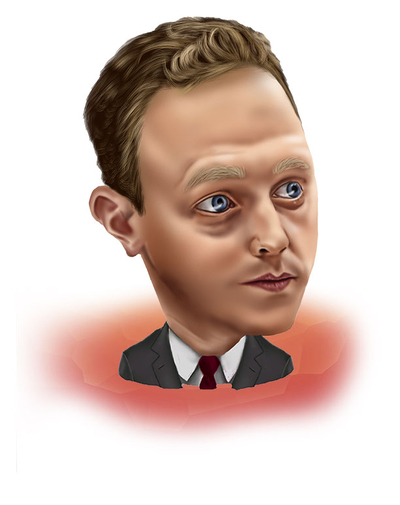 He then returned to serve as CIA director George Tenet's chief of staff (1999-2001). During the Bush years, Brennan shifted positions multiple times before retiring in 2005 and spending three years in the private sector as CEO of the Analysis Corporation. Brennan came out of retirement to join the Obama administration because of a shared philosophical approach to the Middle East. In particular, he has advocated for compromise with Iran and for engagement with Islamists at home and abroad. Under pressure from Muslim organizations alleging that the Federal Bureau of Investigation (FBI) employed bigoted training materials, Brennan oversaw a purge of FBI materials dealing with Islamism, which have been revised in consultation with ISNA, MPAC, and other Islamist groups. "Nor do we describe our enemy as 'jihadists' or 'Islamists' because jihad is a holy struggle, a legitimate tenant [sic] of Islam, meaning to purify oneself or one's community, and there is nothing holy or legitimate or Islamic about murdering innocent men, women and children." — White House press conference, May 26, 2010. "In all my travels the city I have come to love most is al-Quds, Jerusalem" (using the Arabic term for the city in first reference). — Speech at New York University, February 13, 2010. "President Obama [does not] see this challenge as a fight against 'jihadists.' Describing terrorists in this way — using a legitimate term, 'jihad,' meaning to purify oneself or to wage a holy struggle for a moral goal — risks giving these murderers the religious legitimacy they desperately seek but in no way deserve." — Remarks at the Center for Strategic and International Studies, August 6, 2009. "[ISIS] is totally inconsistent with what the overwhelming majority of Muslims throughout the world [believe]. And so by ascribing it as Muslim terrorism or Islamic extremism — I think it does really give them the type of Islamic legitimacy that they are so desperately seeking, but which they don't deserve at all." — Speech at the Council on Foreign Relations, March 13, 2015. 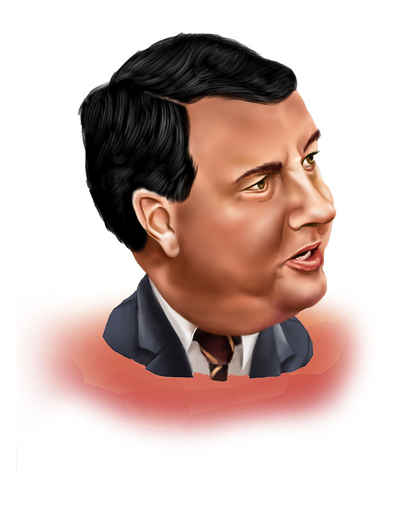 Chris Christie has been the governor of New Jersey since 2010. He previously served as a federal prosecutor, appointed by George W. Bush in 2001. Christie achieved popularity due to his brash, combative style and willingness to take on special interests. After dropping out of the presidential race in 2016, Christie was among the first Republican officeholders to endorse Donald Trump, now president-elect. But Christie has a long history of enabling Islamists while in office. In 2011, he chose Islamist Sohail Mohammed to be a judge for New Jersey's superior court. When members of New Jersey's Senate Judiciary Committee grilled Mohammed about his expressed support for Sharia (Islamic law), Christie ridiculed them as "crazies" (winning praise from CAIR-New Jersey). When revelations that the New York Police Department (NYPD) had carried out surveillance of Islamists in New Jersey surfaced in 2012, Christie lashed out at the NYPD. "I don't know if this NYPD action was born out of arrogance, or out of paranoia, or out of both," he said, "but we're taking a real good, strong hard look at it." In 2008, Christie kissed and hugged Mohammad Qatanani, imam of the Islamic Center of Passaic County, shortly after he made anti-Semitic and pro-Hamas statements. Christie further instructed Assistant U.S. Attorney Charles McKenna to act as a character witness at his deportation hearing. In 2010, he approved a New Jersey Transit employee's termination because he publicly burned three pages of a Koran. Derek Fenton received the American Civil Liberties Union's help in successfully getting his job back. "My view is he's always had a very good relationship with us, and he's a man of great goodwill." — Remarks on Imam Qatanani, September 3, 2008. "Sharia law has nothing to do with this at all. It's crazy. It's crazy. ... So, this Sharia law business is crap. It's just crazy. And I'm tired of dealing with the crazies. I mean, you know, it's just unnecessary to be accusing this guy of things just because of his religious background." — Responding to criticism of his appointment of Sohail Mohammed, board member and co-founder of the Islamist organization American Muslim Union, to a state superior court, July 26, 2011. 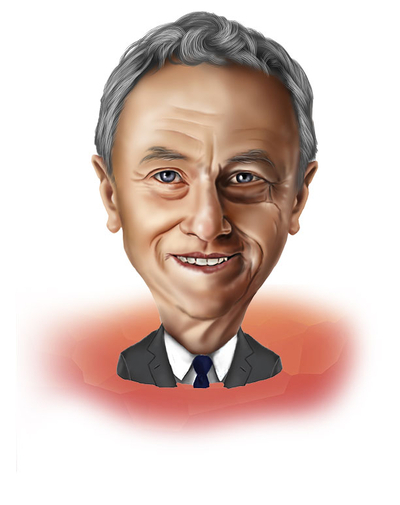 Morris Dees is the co-founder and chief litigator for the Southern Poverty Law Center (SPLC). Initially focused on combating poverty, prison abuses, and other social ills impacting the African-American community, during the late 1970s Dees led the SPLC to focus its attention on high-profile lawsuits against racist hate groups like the Ku Klux Klan (KKK). Although the lawsuits were successful in bankrupting these groups, they were also successful in enriching SPLC coffers. Dee proved to be a master at direct mail campaigns focused on the alleged resurgence of white supremacism. No resurgence ever came, but the alarmism enabled the SPLC to develop one of the largest war chests of all American non-profits ($303 million in 2014) and provide a generous compensatory package to Dees himself ($345,000 plus perks in 2010). Dees's tactics and increasing indifference to black poverty and other causes with less fundraising appeal have encountered bitter criticism, especially on the left. As Baltimore Sun columnist Ron Smith explained in 2008, the SPLC's financial success lay in its "ability to sell gullible people on the idea that present-day America is awash in white racism and anti-Semitism." According to Nation columnist JoAnn Wypijewski, "no one has been more assiduous in inflating the profile of such groups than the center's millionaire huckster Morris Dees." Far-left journalist Alexander Cockburn has called Dees the "arch-salesman of hate-mongering." With the decline of the KKK and other above-ground racist organizations in recent years, the SPLC cast about for more "extremists" with whom to alarm the public. It has partnered with groups such as the Center for American Progress (CAP) and Media Matters for America (MMFA) to wage campaigns against individuals and groups leading the fight against Islamism, branding them "anti-Muslim" and claiming that their numbers are growing rapidly. The SPLC has issued a number of reports singling out alleged anti-Muslim bigots. These include "The Anti-Muslim Inner Circle" (2011), "Women Against Islam" (2015), and "A Journalist's Manual: Field Guide to Anti-Muslim Extremists" (2016). SPLC speakers have participated in events organized by U.S. Islamist groups (e.g., MPAC in August 2012 and CAIR-Alabama in March 2016). "I learned everything I know about hustling from the Baptist Church." — Harper's Magazine, November 2000. Matt Duss is president of the Foundation for Middle East Peace, an organization describing itself as advocating "a just and secure resolution to the Israeli-Palestinian conflict [and] an end to the occupation that began in 1967." Duss previously made a name for himself as a policy analyst and director at CAP. In 2011, Duss co-authored Fear Inc.: The Roots of the Islamophobia Network in America, a detailed CAP report accusing "misinformation experts" of "spreading of hate and misinformation" about Islam. In 2015, he participated in producing a second edition of the Fear Inc. report, to expose what he called "the Islamophobia network's ongoing efforts to promote policies that violate and contradict core American values and interests." "Groups like The Israel Project, the Middle East Media Research Institute, and Middle East Forum seem to exist for no other reason than to spotlight the very worst aspects of Muslim societies. Magazines like Commentary and the Weekly Standard regularly traffic in the crudest stereotypes of Arabs and Muslims, and promote the harshest measures for dealing with them." — The Forward, September 22, 2010. "One of the main neoconservative obsessions these days is the increasing expression of religion in Turkish politics and public life." — ThinkProgress.org, May 12, 2010. John Esposito is a professor of religion and Islamic studies at Georgetown University, the founding director of its Alwaleed Center for Muslim-Christian Understanding (ACMCU), the founding director of ACMCU's Bridge Initiative, which "connects the academic study of Islamophobia with the public square," and the author, co-author, or editor of over 45 books. Throughout his long career, Esposito has argued that political Islam offers the best pathway for the Muslim world to enter modernity and has striven to deemphasize the connection between Islamism and violence, blaming terrorism instead on grievances concerning European colonialism and American support for Israel. Consequently, Esposito has vigorously sought to discredit critics of Islamism, sponsoring and participating in numerous academic events focused on "Islamophobia," the subject of his 2011 book Islamophobia and the Challenge of Pluralism in the 21st Century. Esposito has repeatedly defended convicted terror financier Sami Al-Arian, the North American leader of Palestinian Islamic Jihad, calling him a "good friend" at a 2007 CAIR fundraiser. "Sami Al-Arian is a proud, dedicated and committed American as well as a proud and committed Palestinian," he wrote in a 2008 letter to the presiding judge in the case. Esposito appeared alongside members of the Freedom and Justice Party, the political wing of Egypt's Muslim Brotherhood, for a 2012 ACMCU-hosted panel discussion at Georgetown. At the time, he and other Middle East studies academics were instrumental in whitewashing the Muslim Brotherhood, downplaying its Islamist agenda, and encouraging — with great success — U.S. government cooperation. "Arabs (Muslims and Christians) and Muslims around the world often see more than we see. ... America's record of overwhelming support of Israel ... has proved to be a powerful lightning rod for Muslim anger over injustice." — What Everyone Needs to Know about Islam (Oxford: Oxford University Press, 2011), p. 155. "These are ideologues who have an agenda and can no longer claim to be the academic experts they were trained to be. They are in fact stocking [sic] horses for the neo-cons agenda." — interview with Omayma Abdel-Latif in Al-Ahram Weekly, July 2003. "That's [jihad] defensive warfare, but, like beauty, it's in the eye of the beholder... The struggle is, when is it just, when is it defensive, when is it offensive?" — Florida Southern College, October 13, 2006. "Many jihadists have little actual knowledge of Islam and they have not been primarily devotees. The primary drivers therefore are these other grievances." — CSPAN, August 28, 2014. Glenn Greenwald is a journalist, civil rights lawyer, and activist. Greenwald rose to prominence as a prolific, aggressive blogger who accused the Bush administration of torture and war crimes. The popularity of his blog among anti-war progressives led to numerous writing positions at various publications, including regular columns at Salon and the Guardian. In February 2014, Greenwald accepted a position as editor for First Look Media's the Intercept, a muckraking online journal funded by eBay billionaire Pierre Omidyar, which was launched initially to serve as a platform to examine documents stolen from the NSA by Edward Snowden. In keeping with his emphasis on American misdeeds, Greenwald has focused for most of his public career on the U.S. government's infringement of civil liberties. He has also gone further and attacked what he perceives as widespread anti-Muslim bigotry, attributing it in part to the pernicious influence of the Jewish lobby. He routinely argues that American Jews are loyal to Israel exclusively and deliberately foment violence against the Muslim world. Greenwald is a frequent speaker at CAIR national and chapter events. 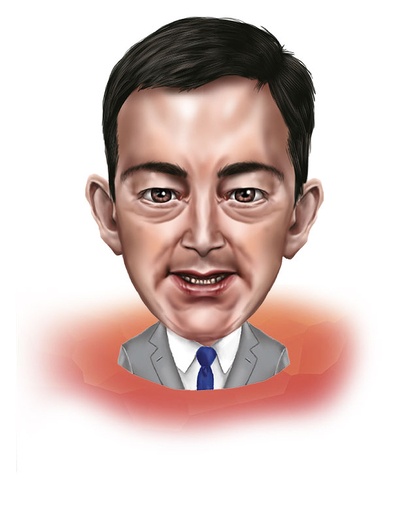 Most notably, for CAIR-Los Angeles's annual summit in 2013, Greenwald addressed the event by video, describing CAIR as "the most steadfast and fearless" of the "handful of organizations that have stood really firm and steadfast in defense of our basic constitutional protections." "Large and extremely influential Jewish donor groups are the ones agitating for a US war against Iran, and that is the case because those groups are devoted to promoting Israel's interests." — Unclaimed Territory, February 3, 2007. "Hezbollah and Hamas ... are devoted to protecting their citizens against the State of Israel. And yet it is criminal in the United States to do anything that is deemed to be material support for Hezbollah and Hamas." — Address via Skype to socialism conference, Chicago, July 2011. "[It] is simply not the case that Charlie Hebdo 'were equal opportunity offenders.' Like Bill Maher, Sam Harris, and other anti-Islam obsessives, mocking Judaism, Jews and/or Israel is something they will rarely (if ever) do." — The Intercept, January 9, 2015 (two days after jihadists killed 12 people in an attack on the French satirical newspaper's office in Paris). "I find extremely suspect the behavior of westerners like [Sam] Harris (and Hitchens and Dawkins) who spend the bulk of their time condemning the sins of other, distant peoples rather than the bulk of their time working against the sins of their own country. That's particularly true of Americans, whose government has brought more violence, aggression, suffering, misery, and degradation to the world over the last decade than any other." — The Guardian, April 3, 2013. "But there are all kinds of pernicious taboos in the West ... why is violence by Muslims the most menacing one? Violence spurred by Jewish and Christian fanaticism is legion, from abortion doctors being murdered to gay bars being bombed to a 45-year-old brutal occupation of the West Bank and Gaza due in part to the religious belief (common in both the U.S. and Israel) that God decreed they shall own all the land." — The Intercept, January 9, 2015. 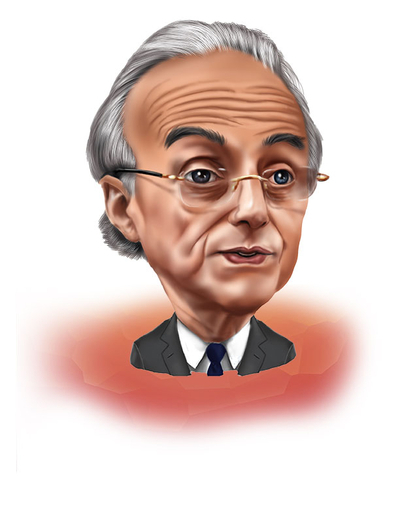 Martin Indyk is the executive vice president of the Brookings Institution. After a decade in academia, Indyk worked for three years at the American-Israel Public Affairs Committee (AIPAC) from 1982 to 1985, followed by an eight-year stint as executive director of the Washington Institute for Near East Policy. In the 1990s, Indyk became an American citizen and served in the Clinton administration in multiple positions, notably ambassador to Israel (1995-1997, 2000-2001) and special Middle East envoy for peace talks between the Israelis and Palestinians. 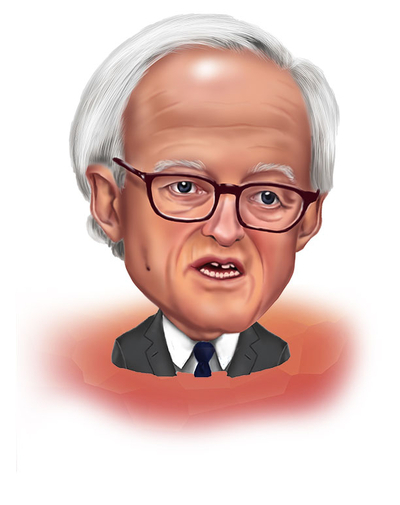 Indyk's credibility suffered a blow when it became known that during 2013 he accepted on behalf of the Brookings Institution a $14.8 million donation from the government of Qatar. Some have argued that Qatari support for Brookings will influence its scholarship and recommendations. In the aftermath of reports of the donation, and of July 2014 interviews in which Indyk essentially blamed the failure of the 2014 peace talks primarily on Israel, Israeli officials said that they would not trust Indyk again. Indyk was a board member of the New Israel Fund (NIF), a U.S.-based organization that gives around $25 million per year to Israeli progressive NGOs, and head of its International Council. NIF has been criticized for funding groups that promote incitement against Israel, such as Adalah Social Television and Breaking the Silence. NIF funding has also played a key role in the BDS movement against Israel. John Kerry has served as secretary of state in the Obama administration since February 2013. After returning from his service in Vietnam in 1970, Kerry embraced the anti-war movement, joining Vietnam Veterans Against the War and testifying before Congress on the group's behalf about alleged U.S. military abuses. After graduating from law school and spending several years in private practice, Kerry became the lieutenant governor of Massachusetts in 1982. 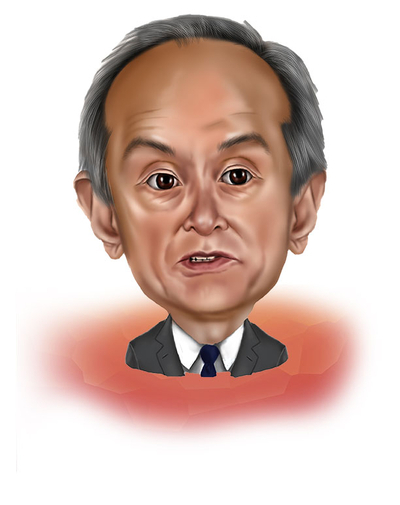 From 1985 through 2013, he served as a senator for Massachusetts. He made a failed run for the presidency in 2004. Under the Obama administration, Kerry spearheaded a failed effort to revive Israeli-Palestinian peace talks and a successful effort to accommodate Iran's nuclear ambitions. In 2013, Kerry met with Iranian Foreign Minister Mohammad Javad Zarif, the first high-profile meeting between the two countries in years and the continuance of efforts to normalize relations with Iran. 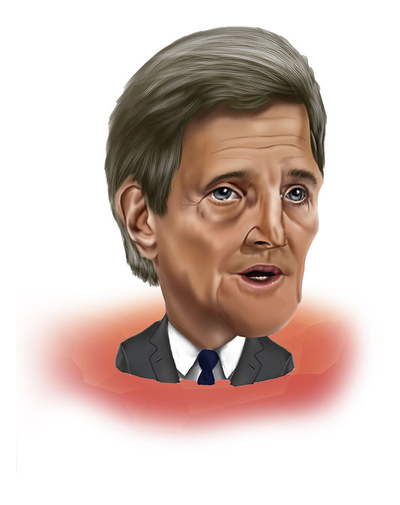 In 2015, Kerry dismissed concerns that the Iran deal he had been involved in brokering would cause money to flow to terrorists: "What Iran has done for years with Hezbollah does not depend on money." "I don't think that the United States, and I think this is the biggest problem about Vietnam, can necessarily apply moral, moralisms to its commitments around the world. And I think this is one of the great fallacies of our foreign policy at the present moment. Interventionism as well as globalism both stem from the same kind of moralism. And in a certain sense I think that moralism can be very defeating for the United States in its undertakings." — Interview with William F. Buckley, Jr., Firing Line, 1971. "I don't believe they've said that. I think they've said 'Death to America,' in their chants, but I have not seen this specific ... I think they have a policy of opposition to us and a great enmity, but I have no specific knowledge of a plan by Iran to actually destroy us." — Response to the question of whether "Iran wants to destroy the United States." House Foreign Affairs Committee, July 28, 2015. "Daesh [ISIS] is in fact nothing more than a mixture of killers, of kidnappers, of criminals, of thugs, of adventurers, of smugglers and thieves... And they are also above all apostates, people who have hijacked a great religion and lie about its real meaning and lie about its purpose and deceive people in order to fight for their purposes." — Remarks at a press conference in Rome, February 2, 2016. "Iran was hurtling towards an unaccounted for, uninspected, full-fledged nuclear program with high levels of enrichment where they had enough enriched material to make 10 to 12 bombs. ... Now, frankly, at Iran's consent and agreement, they have rolled that back." — CNBC, January 20, 2016. 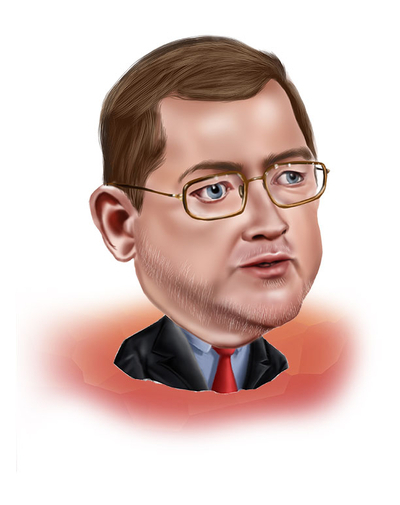 Grover Norquist is one of the most influential libertarian-conservative activists of his generation. For three decades, his non-profit Americans for Tax Reform (ATR) has petitioned politicians across the country to sign a "Taxpayer Protection Pledge": no increase in net taxes. The pledge has become a standard component for Republicans — and Democrats running in red states — to demonstrate their ideological bona fides. Norquist's influence has spread beyond ATR. He founded the influential Washington, D.C.-based Wednesday Meeting, a gathering of Republican and conservative activists. He is a board member of the National Rifle Association (NRA) as well as the American Conservative Union (ACU), which organizes the annual Conservative Political Action Conference (CPAC). 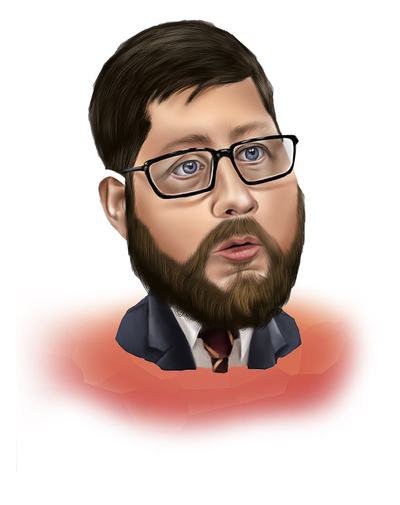 However, as his unseemly associations with Islamists in the late 1990s and first years of the Bush administration became better known, both the NRA and the ACU have faced pressure to remove Norquist. 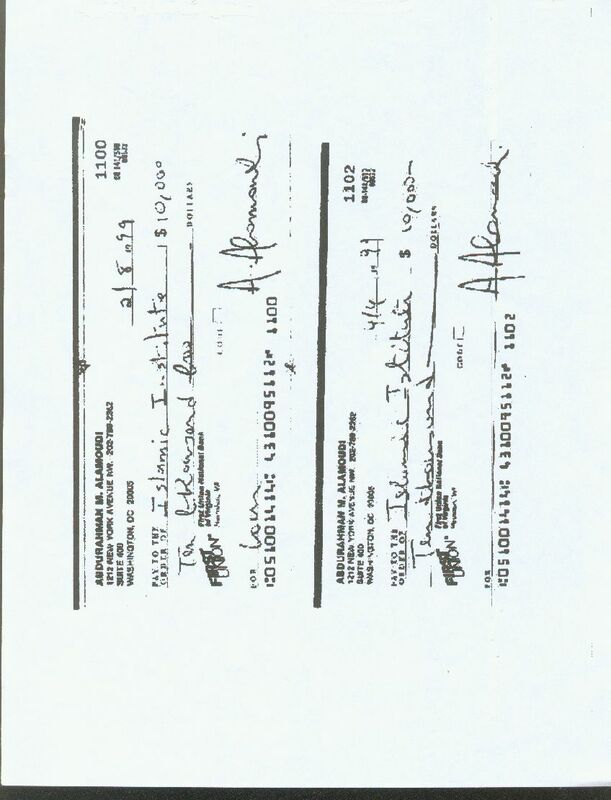 Norquist took two checks of $10,000 each from Abdurahman Alamoudi to start the Islamic Free Market Institute. Alamoudi would later be convicted on terrorism-related charges and sentenced to 23 years in jail. Norquist appointed Alamoudi's deputy Khaled Saffuri to run the organization. Norquist went with prominent Muslim Brotherhood leader Jamal Al-Barzinji to the treasury secretary's office to demand the end of the use of "secret evidence" at terrorist trials. On September 26, 2001, Norquist arranged a meeting between George W. Bush and Islamists Salam Al-Marayati, Dr. Yahya Basha, and Muzammil Siddiqi. Norquist facilitated the placement of Suhail Khan, an alleged Islamist agent of influence, into the Bush administration. In 2011, Khan would tell activists at CPAC: "There is no Muslim Brotherhood in America." "[K]nock that stuff down and just make it clear that there's no place for that in the party of Reagan." — On the subject of "Islamophobia." Interviewed by ThinkProgress.org at CPAC, February 11, 2011. In May 2012, San Francisco State University (SFSU) replaced its long-serving president, Robert Corrigan, with Dr. Leslie Wong. The San Francisco Chronicle reported that the university had been looking for "someone who shared Corrigan's sense of 'social justice,' commitment to diversity and, like Corrigan, was kind." But Wong's sense of "social justice" and commitment to "diversity" have proven controversial. He has been repeatedly criticized for pandering to Islamist student groups. In April 2016, campus police were ordered to stand by as members of the militant General Union of Palestinian Students (GUPS) student group shouted down and disrupted a lecture by Jerusalem Mayor Nir Barkat. During his tenure, the university has deepened its ties to Palestinian educational institutions at the urging of Rabab Abdulhadi, director of SFSU's Arab and Muslim Ethnicities and Diasporas Initiative (AMED). In 2014, an SFSU "Academic and Labor Delegation to Palestine" met with former PFLP terrorist Leila Khaled and Islamist leader Sheikh Raed Salah during a visit to the region. That year, Wong supported Abdulhadi in the signing of a memorandum of understanding (MOU) between SFSU and An-Najah University of Nablus, a hotbed of radicalism with extensively documented ties to Hamas. According to the Anti-Defamation League (ADL), An-Najah's student council "glorifies suicide bombings and propagandizes for jihad against Israel." In the face of withering criticism of the MOU, many extreme anti-Israel organizations rallied to the defense of Wong. "When I returned from Palestine two years ago... I said I want to be one of the first major universities to sign an agreement with An-Najah or any of the other Palestinian universities, or any of the universities in the Arab world." — SFSU reception, April 2015. "I've been very pleased that I've attracted a group of radicals around me so that when I propose ideas that would shake the academic community... they say we're right behind you, all the way." — SFSU reception, April 2015. "I was anticipating a lot of criticism of the signing of our relationship with An-Najah University. I feel deeply that not only was it the right thing to do, but that this university should have done it 20 years ago, 50 years ago." — SFSU reception, April 2015. "The inadequate response prior to, during and following the event falls squarely on the shoulders of San Francisco State University administrators. We failed our students — both the event attendees and the protesters — through multiple inactions." — Commenting on the findings of an independent investigation into GUPS's disruption of Jerusalem Mayor Nir Barkat's April 2016 SFSU talk. "[A]n inspiration for me... the very purpose of this great university." — How Wong described GUPS, a vocal anti-Israel group on campus. SFSU reception, April 2015. Over the last 40 years, James Zogby has become one of the most influential voices in both Arab-American politics and the Democratic Party. Born in 1945 to Lebanese Christians who immigrated to America, Zogby obtained his Ph.D. in Islamic studies from Temple University in 1975 and proceeded to serve as the founder or co-founder of numerous organizations, including the Association of Arab-American University Graduates (AAUG), the Palestine Human Rights Campaign, the American-Arab Anti-Discrimination Committee (ADC), Save Lebanon Inc., and in 1985, the Arab American Institute (AAI), where he remains as president today. The AAI's stated goal is "to nurture and encourage the direct participation of Arab Americans in political and civic life in the United States." Zogby is a leader within the Democratic Party. During the 1980s, he advised Jesse Jackson's political campaigns; in the 1990s, Vice President Al Gore appointed him to help lead "Builders for Peace," a project for developing the Palestinians' economy. He is on the executive committee of the Democratic National Committee (DNC) and in 2016 was appointed by Senator Bernie Sanders to help write the party's platform. On May 7, 1998, President Bill Clinton addressed the AAI, the first time a president had addressed an Arab-American conference, and heaped praise on Zogby as a "remarkable voice for calm and clarity, no matter how heated the issues ... one of the most forceful, intense and brutally honest people who ever came to the White House to see me." In 2013, President Barack Obama appointed Zogby to the United States Commission on International Religious Freedom and reappointed him in 2015. In 1988, Zogby proposed a plank in the Democratic Party platform favoring Palestinian statehood; it was defeated. In 1995, Zogby criticized Clinton for an executive order listing Islamist groups as terrorists. Zogby claimed it would have a negative effect on the civil rights of Arab-Americans. 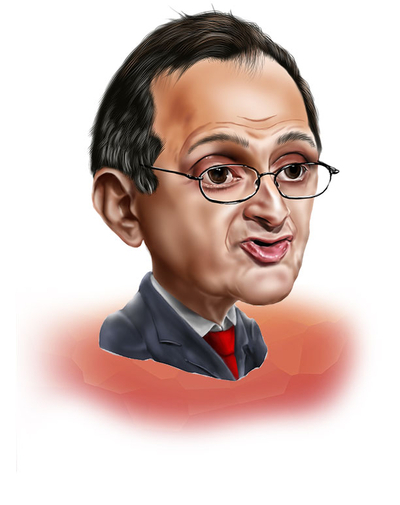 In 2003, Zogby announced at a conference in Riyadh, Saudi Arabia, that the AAI would partner with the World Assembly of Muslim Youth (WAMY) to "take up the cases of some 13,000 Arabs and Muslims, some of whom have been targeted by the U.S. government for possible deportation." According to the ADL, WAMY is closely associated with the Muslim World League, a multipronged organization devoted to promoting the fundamentalist Wahhabi school of Islamic jurisprudence. The United States branch of WAMY was founded by a nephew of Osama Bin Laden, and was raided by the FBI in 2004 for its links with terror groups, including Hamas. Recently uncovered footage of an interview from Zogby during the 1990s reveals a distinct strategy for attempting to mainstream the Islamist view of the Israeli-Palestinian conflict within the Democratic Party: "All Jews are not unified in their support for Israel, the debate within the Jewish community is growing, and in fact a significant number of American Jews, almost a half, are kind of drop outs to the whole organized sense of Jewish organization. ... There is a profound difference between the Israel lobby and American Jews." Putting the Palestinian cause in the context of Eastern European states at the end of the Cold War, Zogby urged for the adoption of the view that a "new sense of democratic reform ... has inspired Americans and can transform American attitudes to the Middle East in a very serious way. ... It is Israel today that is the anti-democratic force in the Middle East." "The guy who gets up on the plane and says 'Allah!' or whatever and then blows the plane up is not making a statement about his faith. ... [When] somebody says 'Jesus Christ!' they're not making a statement of faith. They're saying, 'I'm really mad right now.'" — August 2010 address to congressional staffers. In 2004, Zogby defended Palestinian nongovernmental organizations' (NGOs) refusal to sign a pledge that no money would go to terrorists, thus forfeiting U.S. foreign aid that year: "The idea of providing no 'material support' is such a broad brush stroke, it compromises the ability of the humanitarian organizations to function." Useful infidels such as those featured in this report who count on journalists not being properly prepared. Just as journalists often fail to question the claim of Islamists to represent ordinary Muslims, they also fail to question the agenda of useful infidels — who these individuals are and their relation to Islamist movements. Readers must realize that useful infidels whitewash the illiberalism of the movements with which they make common cause. In a 2012 Columbia Journalism Review article, "Countering Misinformation: Tips for Journalists" by Brendan Nyhan and Jason Reifler, the authors urge that "even if people initially accept that a given claim is false, they may suffer from an 'illusion of truth' over time and come to believe that the claim is accurate. A careful balance must be struck between the desire to correct misperceptions and the risks of popularizing them further." When it comes to useful infidels, their false claims about America, Israel, and Islam serve to justify violence, sanitize fundamentalist ideology, and betray the efforts of moderate Muslims to free their faith from the grip of extremists. Media professionals should consider the following points to ensure that in their coverage of these controversial issues, they are not unquestioningly providing a platform for Islamists and their enablers. Research individuals to make sure they are not useful infidels. By featuring an Islamist enabler as a source or a guest on a program, you risk assisting with the "normalizing" or "mainstreaming" of Islamist supremacist ideology, a belief system just as dangerous and opposed to American ideals as white nationalism. It is easy these days to find out about a person — most information is just a quick Google search away. It is critical to do so: consider the backlash and consequences for moderate Muslims and other victims of Islamist extremism if you provide an enabler with a platform to sanitize Islamist ideas and actions. Be cautious about simply trusting impressive-sounding credentials — parts of academia include some of the worst and most efficient useful infidels. As you weigh potential guests or interview subjects, it is worthwhile to check the list of some 1,500 individuals linked to Islamist organizations, posted at the Islamist Watch website. If you do feature useful infidels, do not use their terms or accept how they frame issues. Consider listening to what moderate Muslim voices say about the prominent Islamists in America. For example, in 2014, the United Arab Emirates designated the Muslim American Society and CAIR as terrorist organizations. Why does the Southern Poverty Law Center not include any Islamist hate groups on its list of hateful ideologies? We also encourage you to explore links between Islamist donors and liberal think tanks. Most notably, Martin Indyk accepted $14.8 million from the government of Qatar on behalf of the Brookings Institution. The possible normalization of Islamist-oriented foreign governments influencing American scholarship has disturbing implications. Understand the ideas that prompt non-Muslims to enable Islamists. In the 15 profiles above, the range of beliefs varies widely. Why might someone show a bias toward Islamism if they are not a Muslim? Some regard Muslims as a victimized group in need of progressive support. Others see a cynical opportunity to make money, launch a career, or pander for votes. All share a common hostility, or at least an indifference, to traditional Western civilization. Do not rely on others to stand up against the extremism of Islamist groups and their morally confused allies. Useful infidels have numerous tactics and tricks for confusing people. But the facts of the history of Islamism and its exploitation of non-Muslim supporters of Islam are too long and deep to hide. Today's moderate Muslims and reformers are counting on media members not to blindly accept the Islamist narrative, but rather to start questioning Islamists' self-appointment as the voice of one imaginary, unified Muslim community.